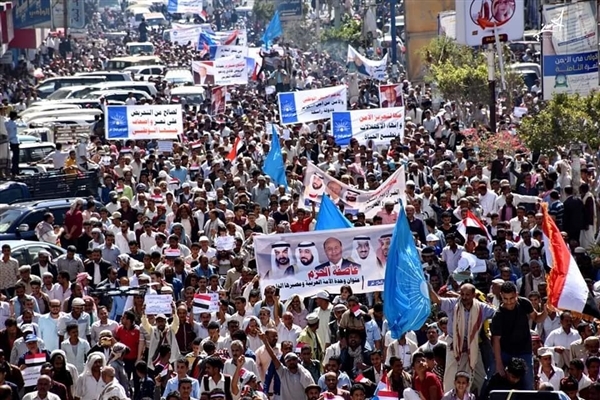 Alsahwa Net-Tens of thousands took into streets of Taiz city on Saturday, commemorating the 4th anniversary of what is named the Operation Decisive Storm. 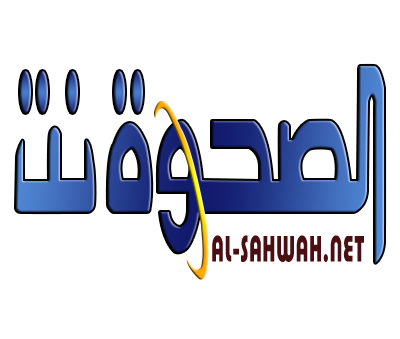 The rally’s participants raised the photos of President Abdo Rabu Mansour Hadi, King of Saudi Arabia Salman bin Abdulaziz, the Saudi Crown Prince Mohammed bin Salman, President of the United Arab Emirates Khalifa bin Zayed and Crown Prince of Abu Dhabi Mohammed bin Zayed. 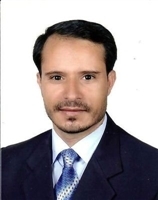 The rally , which was arranged by the Congregation of the Yemeni Reform party (the Islah party, demanded to extend the state authority over all areas of Yemen, impose the rule of law and end the existence of outlaws. The participators of the rally raise posts which condemned Iran’s intervention in Yemen and its support to the Houthi rebels.